The plain regions in Uttarakhand are facing an intense cold wave. 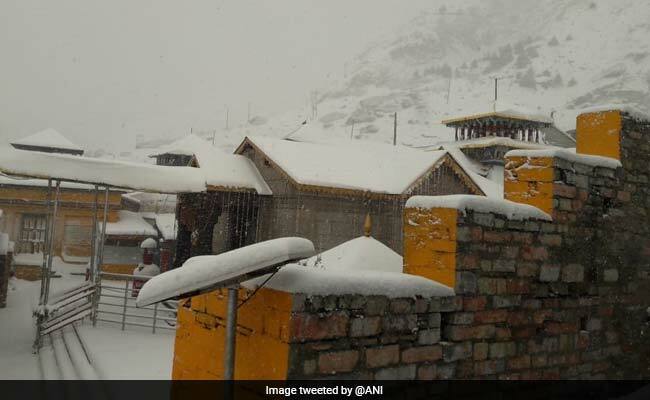 Uttarakhand's Badrinath also received snowfall. Uttarakhand received snowfall in many areas on Thursday, the Met office said. Harshil, Auli, Tungnath and Chopta received heavy snowfall, officials said, adding that Kumayun's Munsyari also received heavy snowfall since yesterday. According to the regional Met office, the weather on Friday would be dry and cold even as fog is expected. The Thal-Munsyari road was blocked leaving vehicles stuck in Ratapani and Munsyari. Gutsy cold winds are blowing across Nainital, Ranikhet and Almora, while it has been snowing in places like Rajrambha, Nanda Devi, Hasling, Panchachuli, Nandakot, Nanda Ghoonghat, Brajgang, Hiramani glacier, Milam and Sidamdhar, an official said.